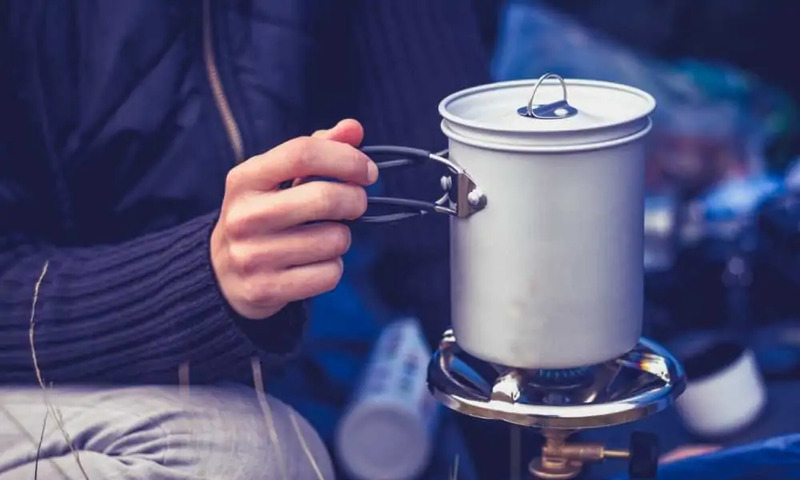 There’s nothing more uncomfortable than camping without an air mattress, especially if you’re someone who isn’t accustomed to using a simple sleeping bag on top of twigs, leaves, and other types of debris. 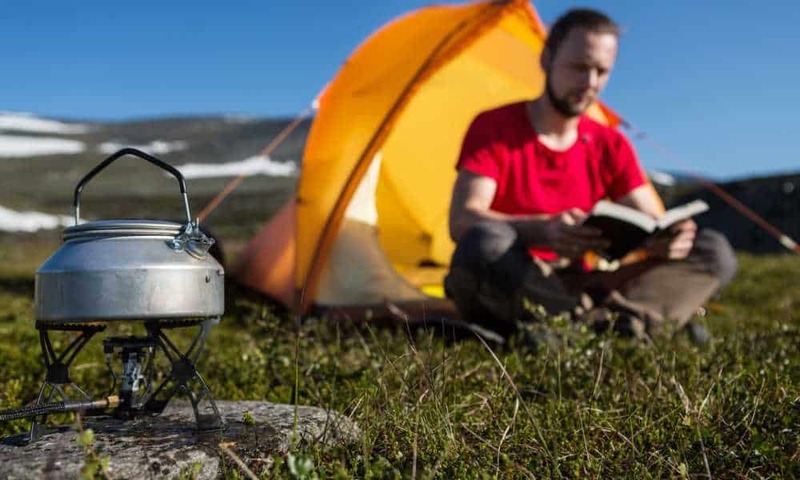 With the help of the best camping air mattress, you’ll be able to enjoy your time in the outdoors in a new way that will have you wanting to go camping again soon. 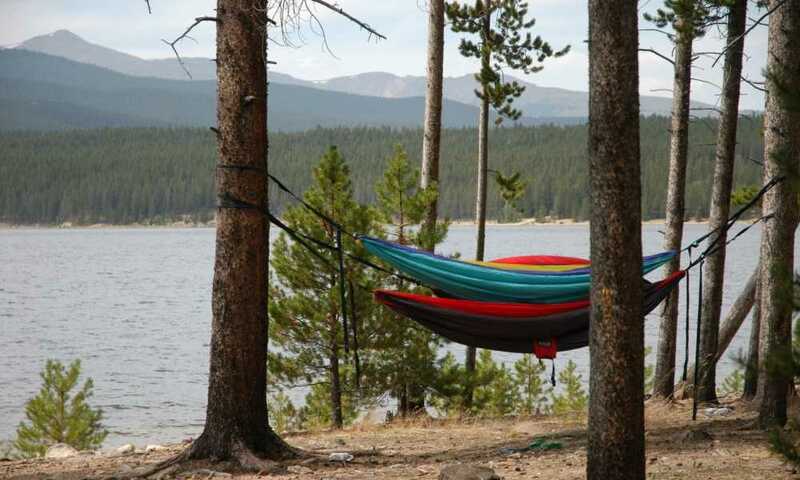 Below are three fantastic options for camping air mattresses that give you the comfort and support you need. At first glance, the Etekcity Inflatable Mattress looks similar to any other air mattresses on the market. What makes it different though is it comes with the things that you need to set up your overnight bed, except linens. 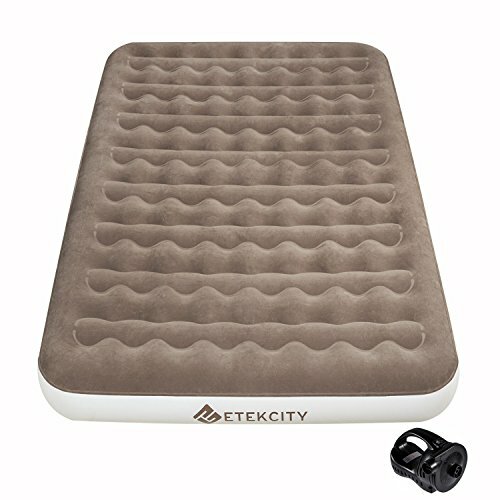 Ready to use out of the box: As mentioned, the Etekcity Inflatable Mattress comes with the things that you would need to get ready for an overnight stay outside or if you’re setting up an air mattress at home for a friend or family member. With an included electric air pump, you can quickly inflate the mattress within a matter of minutes. Flocked top: In case you don’t have access to linens, sleeping directly on this inflatable mattress is equally as comfortable as a fitted sheet because of its soft flocked top that creates a fantastic barrier between the plastic and your body. Raised design: Especially crucial for camping, the Etekcity Inflatable Mattress is raised approximately nine inches off the ground. Thus, you don’t have to worry about being affected by the cold or wet ground, helping you to feel more comfortable while sleeping outdoors. Convenient electric pump: Not only is the electric pump included with the mattress, but it is also rechargeable and portable. Thus, you won’t have to worry about plugging it into an electrical outlet when you need to inflate your mattress. 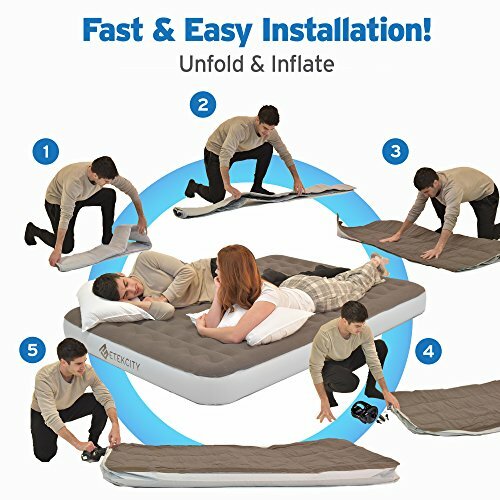 Superior construction: Compared to traditional air mattresses, the Etekcity Inflatable Mattress is impressive as it features superior seams that prevent air leakage, zero change of bulging, and adjustable firmness. The air needs to be refilled daily. 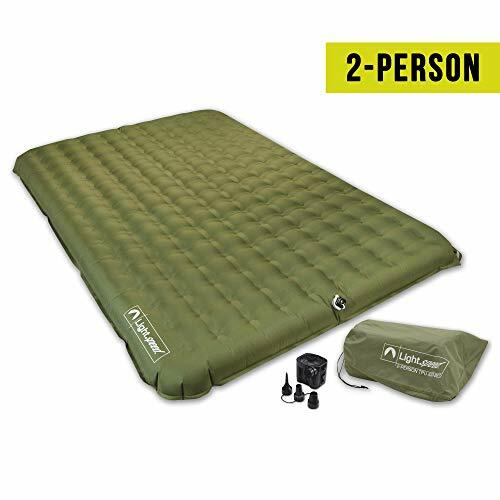 The Lightspeed Outdoors Air Mattress is certainly not as glamorous as other air mattresses on the market, but it offers plenty of advantages for intermediate to advanced backpackers and campers. If accessibility and simple setup are what you’re looking for, this is one of the best air mattresses to use. Fully adjustable firmness: With the combination of the two-way Boston valve and the stabilizer system that is patented to Lightspeed Outdoors, this mattress gives you full control over its level of firmness for the best night’s sleep. 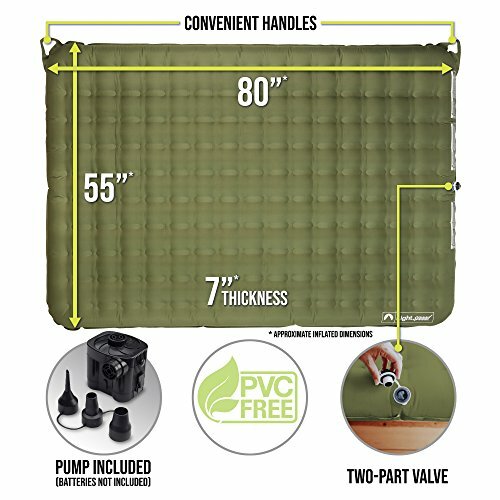 Great durability: One of the best features of the Lightspeed Outdoors Air Mattress is the fact that it’s made of thermoplastic polyurethane (TPU). It gives it superior durability, as well as makes it incredibly flexible and easy to pack. Abrasion-resistant and PVC-free: Considering the air mattress is entirely PVC-free, its stability is above industry standard. It’s also entirely abrasion resistant, meaning you won’t have to worry about rips or tears with regular use. Ready to use out of the box: An added advantage to the Lightspeed Outdoors Air Mattress is that it comes with a battery operated pump. As such, you won’t have to worry about charging the pump or hooking it directly to an outlet. It also comes with an oversized storage bag, which makes packing the mattress easier, especially when you're in a rush. If you’re someone who loves camping with the kids, having a separate air mattress for them is a great idea. That is especially true if you want to limit the amount of weight on your adult-sized mattress. The Shrunks Toddler Travel Bed is a fantastic option for kids as it offers great comfort and is easy to set up when you’ve arrived at your campsite. 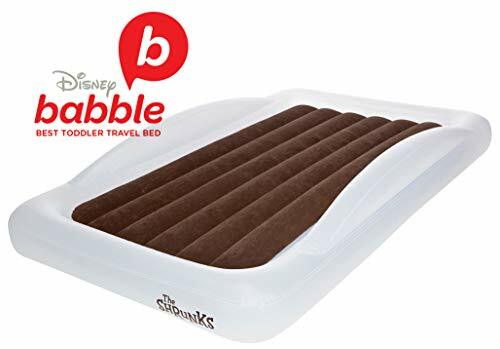 Squeak-free: Especially important for kids, this air mattress is specifically designed to eliminate noises from moving around while sleeping. With the added soft flocking on top of the mattress, you and your kids will have the most peaceful night’s rest while camping. Added guard rails and sheet tucking: The air mattress is designed to fit typical crib sheets. It also comes with patented guard rails and the ability to easily tuck sheets so that they don’t shift on the mattress. 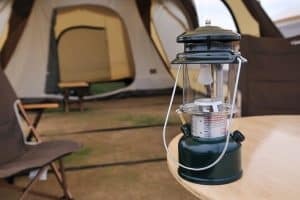 This gives you the peace of mind you need when camping with younger children. Likewise, the mattress is very low to the ground. 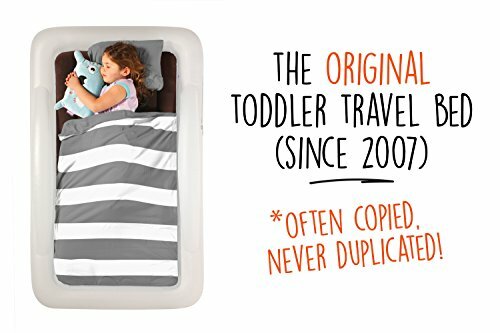 Quick and powerful pump included: The pump that comes with The Shrunks Toddler Travel Bed is designed to inflate the mattress in under 30 seconds. Thus, you’ll have the perfect firmness for your kids in no time. There are several things to look for in the best camping air mattress apart from comfort. You also need to pay close attention to durability, ease of use, and longevity. The Lightspeed Outdoors Air Mattress is the best mattress in regards to everything that you would expect from a high-quality inflatable mattress, apart from the fact that it doesn’t insulate heat very well. Constructed out of a high-quality PVC-free material, the mattress doesn’t give off any strong plastic odors. It’s also clearly designed to retain as much air as possible overnight. We also found that it’s not too large to fit in the back of a vehicle for car camping and it fits perfectly into most tents, giving you more than enough comfortable sleeping room. Another advantage to the Lightspeed Outdoors Air Mattress is that it takes a limited amount of time to inflate, which is ideal for people who are setting up camp in a hurry. Also, it comes equipped with a battery operated air pump, so you can set up your new mattress anywhere you desire in a matter of minutes.